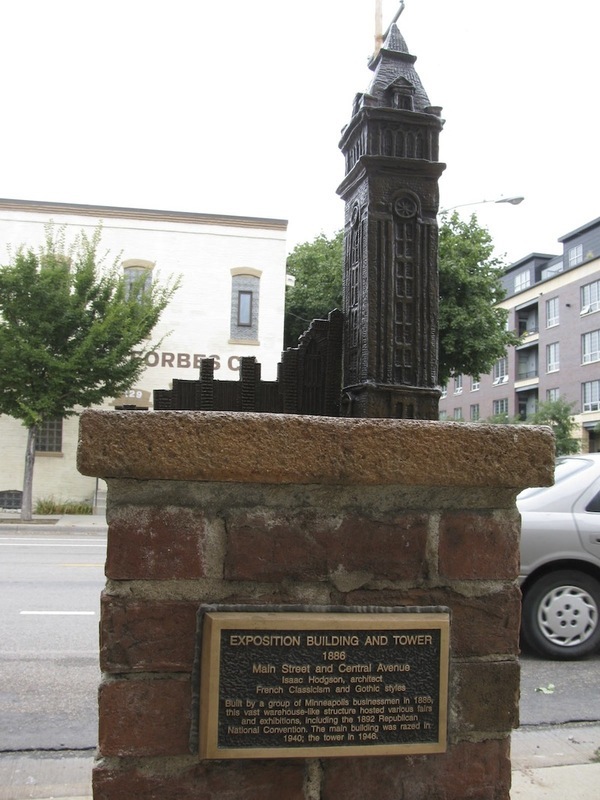 In 1886, a group of Minneapolis businessmen built the Industrial Exposition Hall, a vast warehouse-like structure located at the corner of Main Street and Central Avenue SE, where Lourdes Square townhouses now stand. Designed by the architectural firm of Isaac Hodgson and Son, the massive cream-colored stone and brick building featured a mix of Gothic and Renaissance styles. 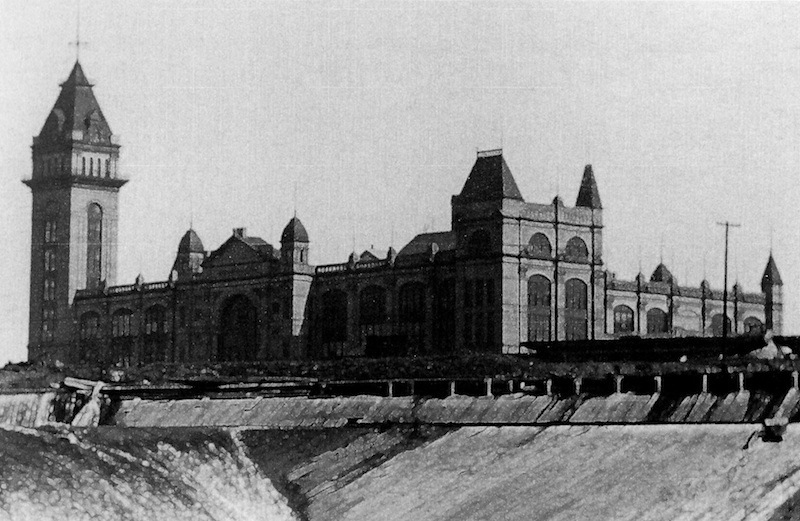 It was built to host fairs, exhibitions and major events such as the 1892 Republican National Convention. Measuring 356-feet long by 336-feet wide, the three-story building was larger than a city block and featured a 260-foot tower. 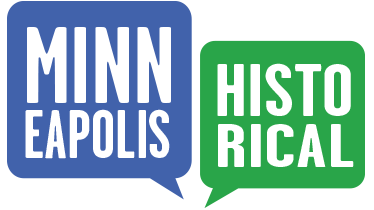 Civic boosters believed the hall would revitalize Minneapolis, though it was not clear that revitalization was needed: the growing city was already the flour milling capital of the world and had a population of 46,877 according to the 1880 federal census. "‘Twas exposition year. Exposition of the greatest development ever made by any city on the globe, in a single year. Even the oldest inhabitants as well as strangers are astonished at the growth and progress of the city. Minneapolis is a perpetual surprise. Having [out] distanced all others, she annually surpasses herself in rapidity of growth." Unfortunately, the Exposition Hall’s glory was short-lived. Its backers went bankrupt in 1895. In the early 1940s, all but the tower was torn down to make way for a Coca-Cola bottling plant. In 1946 the tower came down as well. Then, several decades later, the Coca-Cola plant was razed to accommodate more development. Marcy-Holmes Neighborhood Association, “Exposition Hall (1896),” Minneapolis Historical, accessed April 22, 2019, http://minneapolishistorical.org/items/show/91.